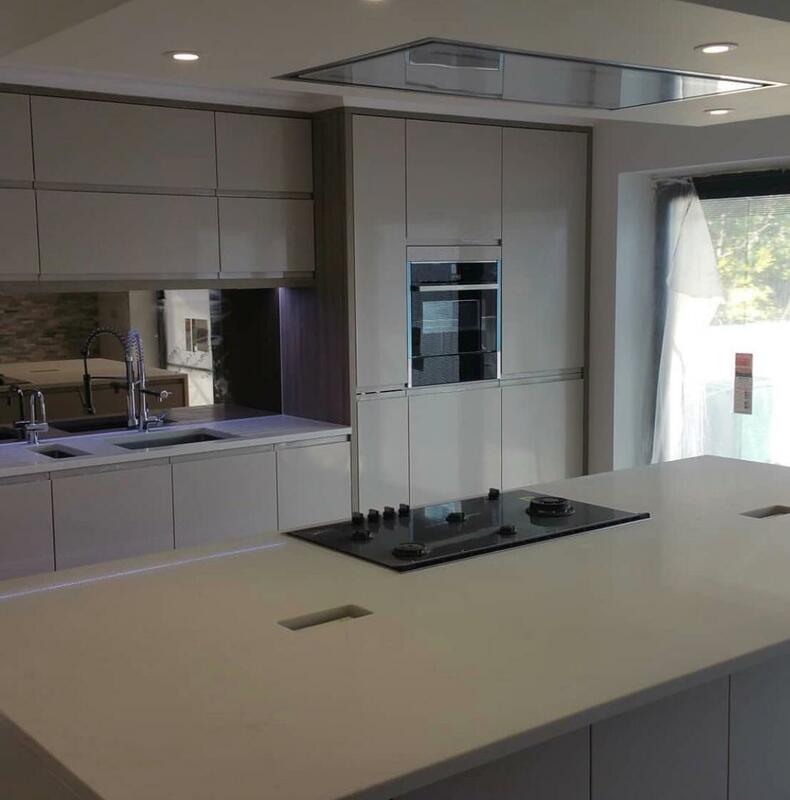 If you are in the search for a more natural looking white quartz worktop which is neither uniform nor clinical then our Carrara Quartz range of worktops may be precisely what you are looking for. 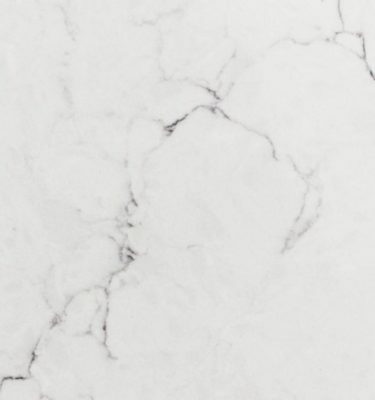 An eye catching Carrara Quartz worktop adds a hint of sophistication to any kitchen or bathroom and can be suited to both classic and contemporary styles. 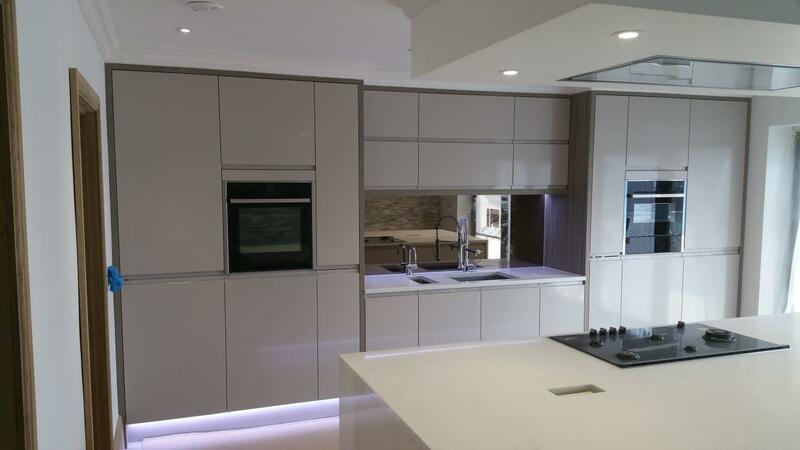  This particular product shown here is one from our own brand of Carrara White Quartz. 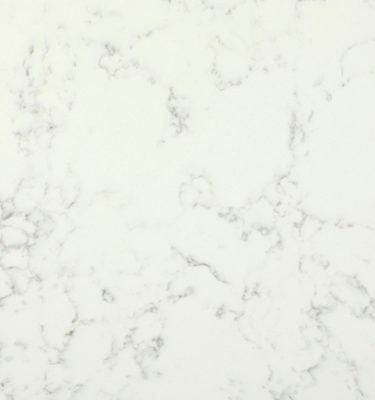 If you are looking for a Carrara Quartz with the most subtle veining then our own brand version may be an option. 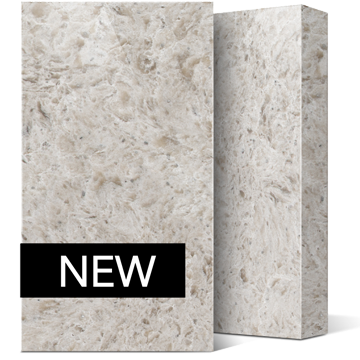 The bright white base colour features a natural hue when compared to some of the artificial looking base white colours found in the Carrara Quartz range. 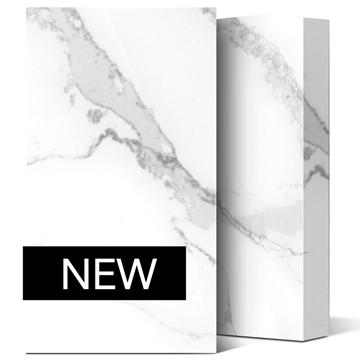 The Carrara Quartz range of colours and finishes are inspired by ever popular Carrara white natural marble, however having a man-made quartz means you avoid the pitfalls usually found with using marble as a kitchen work surface. 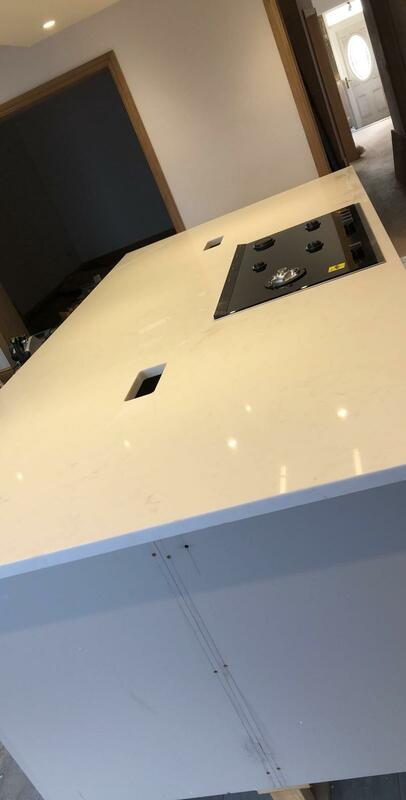 Carrara Quartz worktops compared to natural Carrara marble worktops are highly resistant to staining, acids and abrasions. 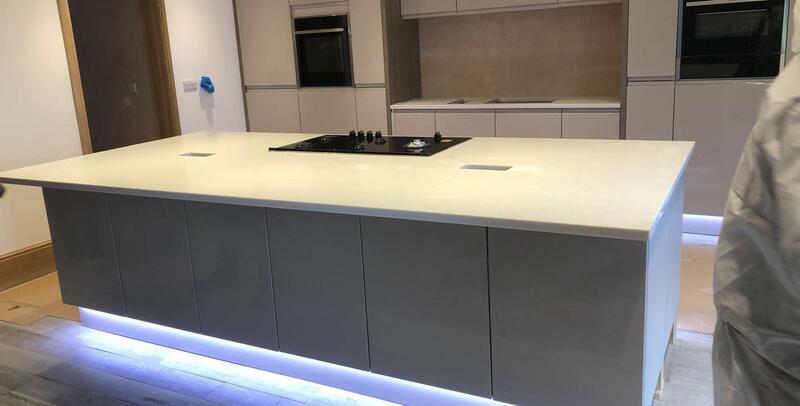 Quartz worktops are a perfect choice for todays busy lifestyles giving you complete peace of mind you have a product that not only looks amazingly natural, but will also stand the test of time. 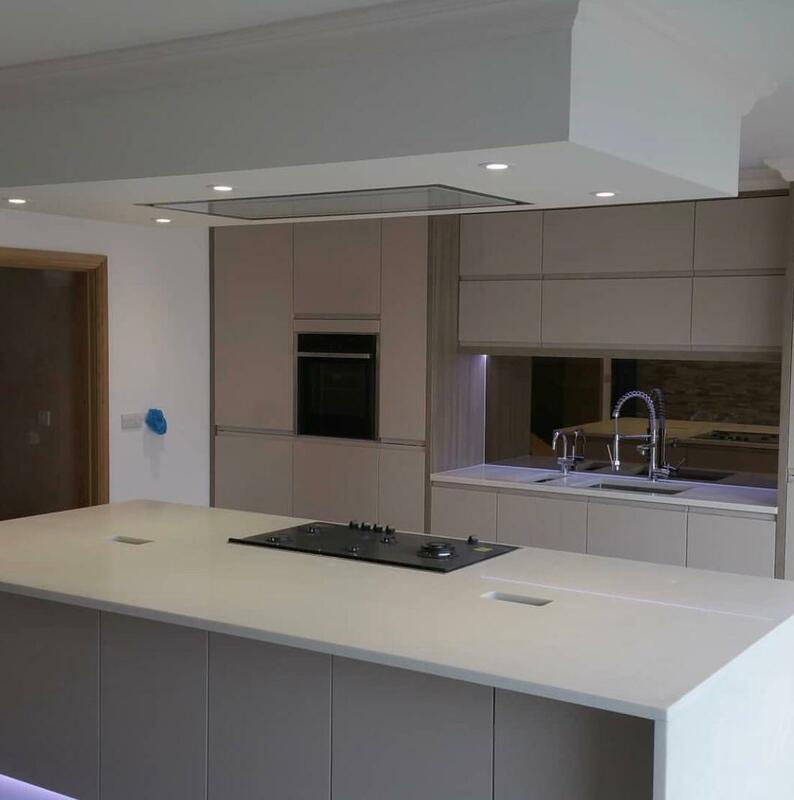 Where the patterns and veins within natural stone cannot be guaranteed for consistency you can be rest assured our Quartz options will offer you a sensible alternative. 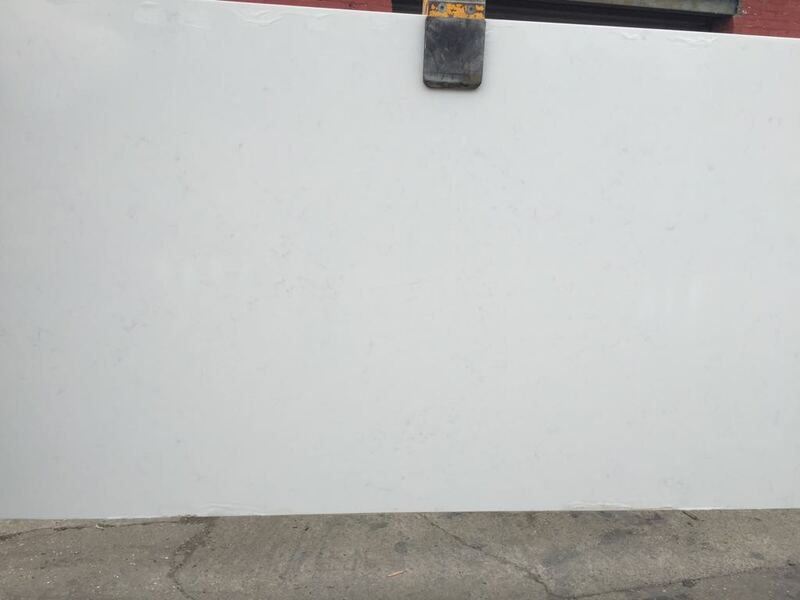 Suitable for an array of modern and traditional styled kitchens and bathrooms, this luxury Carrara Quartz worktop is certainly one to be considered.